Denna produkt ger dig 306 bonuspoäng. Iveco interchargable box trailer Deutrans. 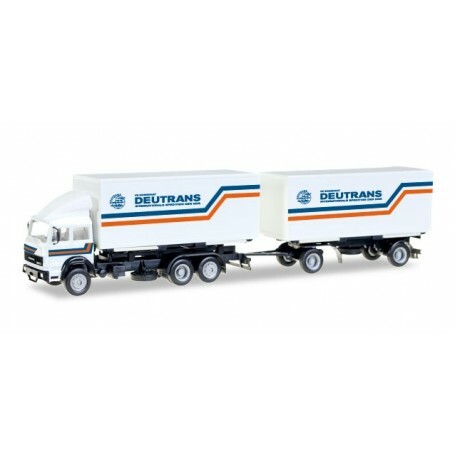 In the end of the 1980s, the GDR forwarding company forwarder Deutrans simplifi ed its truck design and sent the trucks on the road in white featuring blue and orange stripes. The carefully selected drivers of all vehicles for transit traffi c to the West had to prove a certain loyalty to the party line and were often members of the Party.